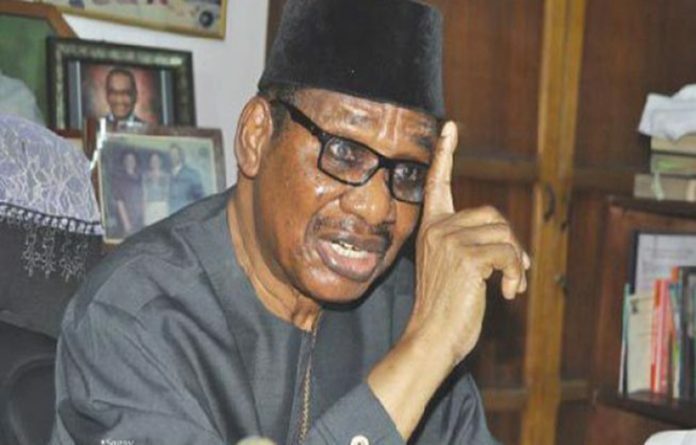 Prof. Itse Sagay (SAN), Chairman of the Presidential Advisory Committee Against Corruption (PACAC) on Friday said he is not impressed by the resignation of Walter Onnoghen, former Chief Justice of Nigeria (CJN) as it came too late. Sagay who said there is no value in the resignation argued that Onnoghen should have resigned since January when the charges were made against him and he admitted that he erred. “The resignation has come too late. It was a face-saving resignation because if he had not resigned, he would have been sacked. There is no question about that. At the very best, he would have been retired if not actually dismissed”. “There is no value in the resignation anymore. It lacks the honour and dignity that would have accompanied it if he had done it since January when the charges were made” he said.